The Growth Chart Committee was formed by IAP in January 2014 to design revised growth charts. Consultative meeting was held in November 2014 in Mumbai. Studies performed on Indian children’s growth, nutritional assessment and anthropometry from upper and middle socioeconomic classes in last decade were identified. Committee contacted 13 study groups; total number of children in the age group of 5 to 18 years were 87022 (54086 boys). Data from fourteen cities (Agartala, Ahmadabad, Chandigarh, Chennai, Delhi, Hyderabad, Kochi, Kolkata, Madurai, Mumbai, Mysore, Pune, Raipur and Surat) in India were collated. Data of children with weight for height Z scores >2 SD were removed from analyses. Data on 33148 children (18170 males, 14978 females) were used to construct growth charts using Cole’s LMS method. 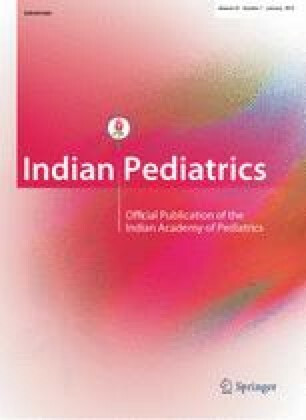 To construct revised IAP growth charts for 5–18 year old Indian children based on collated national data from published studies performed on apparently healthy children and adolescents in the last 10 years. The IAP growth chart committee recommends these revised growth charts for height, weight and body mass index (BMI) for assessment of growth of 5–18 year old Indian children to replace the previous IAP charts; rest of the recommendations for monitoring height and weight remain as per the IAP guidelines published in 2007. To define overweight and obesity in children from 5–18 years of age, adult equivalent of 23 and 27 cut-offs presented in BMI charts may be used. IAP recommends use of WHO standards for growth assessment of children below 5 years of age.